Technology Articles : 1-25 of 67 found. If you want to get your hands on one of the best Macs, you need to check specs, performance and design. Since it can be hard to find the best Affordable Mac for you we decided to gather this list to help you. The fifth generation of mobile networks is expected to provide high-speed Internet traffic, helping to find technical solutions to the daily problems of people moving within cities. The new update in Whatsapp application will add a new feature that allows users to "hide" unwanted conversations more easily. Currently, when you put a chat into the archive there’s a chance it can pop back when someone sends a new message. The field of folding phones is witnessing heated competition between tech giants such as Samsung and Huawei, and Sharp is entering the track by a new innovation that will change the industry. Whatsapp has finally started to try a special version on iPad tablets, which is the long awaited version because the application is exclusively for Mobile phones. Apple has canceled the AirPower product completely because of the difficulties to meet its own quality standards. News reports revealed that Whatsapp is about to launch a new update that includes major changes in the way the application works and the information presented to users. Apple's next generation of iPhone phones will support wireless power sharing, enabling Apple to charge its other wireless devices such as the Apple Watch and apple airpods, similar to Samsung's Galaxy S10 series this year. Samsung has announced its intention to launch a new generation of Class A phones with outstanding camera capabilities on April 10. Apple has renewed its famous iMac computer with more powerful processors and graphics cards, the company said that the new iMac will come with a 27-inch Ritna screen, and intel core i9, which will increase the performance by 2.4 times compared to the previous model. Google has announced a revolutionary new update on its keyboard, Gboard which will recognize sounds and carry out the orders of the owner only. Google has added several updates to Gboard on Google phones "Pixel", these updates will be availabe soon on other phone models. Below is a list of phones with excellent performance and affordable prices. 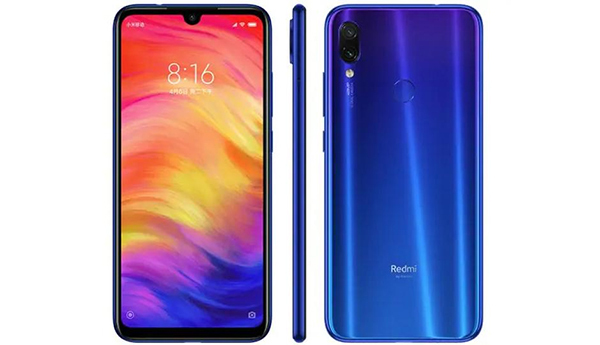 The top phones in $150 price range are Redmi Note 7, Lenovo K5 and Meizu Note 8. Samsung is developing a unique smartphone with cameras at the bottom of the phone screen. The new phone features a screen that completely covers the front end, eliminating the small spaces that contain the camera lens slots. There has been a technical malfunction on the Facebook and Instagram, and the applications have stopped working for users in a number of countries around the world. Instagram network is testing a new feature within video calls named "Co-Watching", similar to the "Watch Party" feature in Facebook , which allows participants to watch videos and interact with each other at the same time. In India, "Oppo" recently revealed the "F11 Pro" smartphone with features that make it one of the most advanced smatphone in the world. British Company, Planet Computers launched its new smartphone that combines a laptop and a phone. This design is not new and existed in the 1990s. The company launched its new phone "Cosmo Communicator" and unveiled it during the World Mobile Congress in Barcelona. Will Apple adopt Samsung folding screens? A South Korean news report said that Samsung is seeking to supply Apple with its folding screens. Some may think that transferring data from one phone to another is a difficult task. If you decide to transfer your phonebook from your iPhone to Android, you can do this with simple steps. OnePlus company is going to release its newest phone OnePlus7. Image leaks revealed a pop-up front camera and triple rear camera. OnePlus company is preparing its own conference to announce the release of the OnePlus7 smartphone.